The Baby Pics app is an amazing iOS app for new parents. Find out easy way to capture, edit and track the everyday moments of your little one's life and share them with family and friends. AHMEDABAD, India - April 8, 2016 - PRLog -- New parents? It's amazing to have a little baby at home, right! We are constantly taking pictures of our kids and trying to record baby's precious moments as more as we can. By the fact that child gives more natural and pretty looking poses, parents are more likely to use smartphone for getting beautiful snaps of their toddlers. Whether it's a day to day record, or milestones like a first word or the first move or first birthday, you need to document. Here we are launching an unique app - "Baby Pics | Personalised, view in calendar or slideshow, export to PDF, share and lot more" that help you track your cute baby's daily photos, videos and precious milestones of your Baby's development. We're thrilled to introduce this amazing app to you! This app is a great gift for the parents to save stories and mementos of Baby's first year. 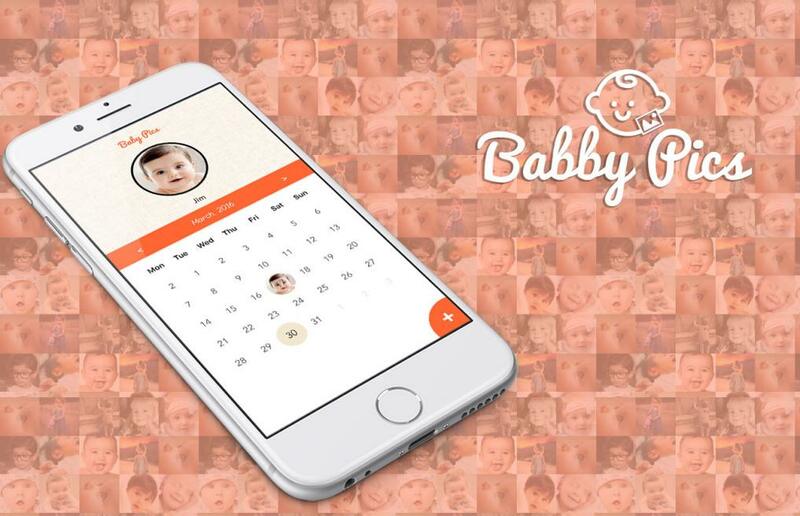 The Baby Pics app is a great source to organise your chubby kid's memorable photos / videos at your fingertips. You can capture or save multiple photos from the gallery and able to see the photo album in different forms like view in calendar, collage view, slideshow, photo book, etc. Features like easy to use, available for free and offline access will make this Baby app more favorable in the app store. Lets you keep safe your baby's photos and videos for lifetime by using our app. You can make your photos even more fun with tons of interesting features including add text, emojis, stickers, photo effects. You will be able to print and export photos as a PDF. In addition, the Baby Pics app allows you to immerse yourself with sharing capabilities to help keep family in the loop. You won't have to worry about remembering anything as you will get birthday and daily reminders on your iPhone / iPad. Create digital photo albums of what's your baby doing right now. Hope it will help busy moms to make their life easier with little fun too. Enjoy parenthood! Do you like the concept of Baby Pics app? You might also enjoy other apps created by Cyberlobe Technologies - iPhone Apps development Company that helping you make your life easier.